With the presidential elections due to take place in Afghanistan in two years, politicians are getting ready by forming new alliances. Vice President Dostum who is in a de facto exile met Deputy Chief Executive Officer Mohammad Mohaqiq and Balkh Governor Atta Mohammad Noor in Turkey to form the Coalition for the Salvation of Afghanistan party. This is seen as an “opposition from within the government”. Dostum is accused of sexually assaulting political rival Ahmed Ischi and has been living in Turkey for the last two months. He turned down an invitation from Masoom Stanekzai, head of the Afghan intelligence agency, to return home, where he awaits trial. On the 16th, a new political party named Mehwar-e-Mardum-e-Afghanistan was launched. The chief leaders among the party are Rahmatullah Nabil, the former head of the intelligence agency and Rangin Dadfar Spanta, a former Karzai aide. They say they act as opposition and will confront President Ghani’s autocratic habits. The amended version of the law on Provincial Councils reinstated their supervisory role to oversee the work of provincial governors. Afghan Parliament removed this role in 2014 arguing it was the role of MPs to do this. On the 30th, CEO Abdullah said the amended bill would improve governance and reduce malpractices at the sub-national level. On the 27th, members of Uprising for Change held another protest in Kabul. They criticised the government for failing to provide security and demanded the resignation of heads of security agencies. Insecurity continued to take Afghan lives in July. On the 24th, a suicide bombing by the Taliban killed at least 36 civilians and injured over 40 in Kabul city. The blast targeted a bus carrying employees of the Ministry of Mines and Petroleum and killed fifteen - most of whom were young, educated staff. On the 20th, unknown gunmen attacked residential houses in Shah Wali Kot, Kandahar. They kidnapped 70 people, most of whom were men between 20 to 40 years of age. Gunmen killed seven hostages and released twenty, mostly women and children. The fate of the remaining abductees is still unknown. The Taliban continued their inroads in western and southern Afghanistan, whilst districts in northern Faryab and north-eastern Baghlan switched hands. On the 26th, the Taliban attacked Afghan army outposts in Kandahar killing at least 39 soldiers and wounding 17 others. 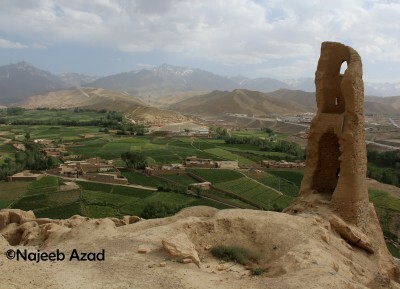 In Badakhshan, the Taliban killed at least 32 members of the local police and government-aligned uprising groups in a push to capture Tagaq district. On the 23rd, the Taliban captured Taywara district in Ghor province for the first time and held it under their control for about five days. Afghan forces backed by air strikes retook the district after heavy fighting that was made even more difficult by the Taliban placing mines in the roads and firing from civilian houses. American security officials said the air strikes were performed by the Afghan Air Force without their help, a sign of their growing capability. An American airstrike went awry in Helmand on the 21st, killing at least 16 Afghan police force members. Afghan police had asked for help from American forces in retaking a security outpost, but had succeeded in retaking it on their own. The Americans killed Afghan police instead of the Taliban. On the 31st, four Daesh fighters attacked the Iraqi embassy in Kabul killing two Afghan members of staff. The attackers were killed by Afghan forces after four hours of battle. The right to life has never been violated so heavily in Afghanistan than it is now. The number of civilians killed in the war reached a new high during the first six months of 2017, according to the UN Assistance Mission in Afghanistan. Their report cites a total of 1,662 civilian deaths between January 1 and June 30, marking a two percent increase since last year’s record high. The majority were civilian casualties, around 40 percent, and were caused by improvised explosive devices operated by anti-government forces. An estimated 1,151 casualties were the result of suicide attacks, a 15 percent increase since 2016. This year also marks the highest number of civilian casualties stemming from suicide attacks ever recorded by UNAMA. Rights activists sharply criticised the draft bill on assemblies, strikes, and demonstrations. They say the restrictions imposed on the topics, location, time, and size of demonstrations are undemocratic and violate the Afghan Constitution. In the new draft demonstrators are obliged to respect national, historical, religious and cultural values and interests. Activists say these terms are vague and ambiguous and can lead to various types of government autocracy. The bill is due to be discussed by parliament. On the 3rd, local officials said that two young couples aging between 14 and 20 had been killed because they had eloped. The summary executions were carried out by a Taliban judge and the father of one of the girls. The first incident happened in a Taliban-controlled area so police have not taken any action. The other incident happened in a government-controlled area, but the killer has escaped and joined the Taliban. On the 9th, representatives from 29 donor countries and organisations attended a high level meeting with the Afghan Government in Kabul. They discussed the mutual commitments agreed during the Brussels Conference last October. Donors applauded the Afghan government’s efforts to curb corruption but insisted that more action be taken. President Ghani cited security and ethnic politics as the key challenges to Afghanistan’s stability. On the 26th, Urozgan officials said that four employees of HDS, a local NGO, were kidnapped by the Taliban. HDS staff said they had been in touch with the Taliban who had agreed to support their work in the province. Reza Rafat, 18, made waves in the media after becoming the top scorer in Kankor, the national university entrance exams. Reza comes from a poor family and has to weave carpets at least 8 hours a day, but he topped an exam attended by 169,000 students. He has been accepted to study medicine in Kabul University but government officials have promised to give him an international scholarship. Reza has said he is overwhelmed to have become an inspiration for fellow students. Reza himself does not even own a mobile set but has been overwhelmed to see that so many Afghans have his photos on their phones. He has become an inspiration for fellow students. The “Where is My Name?” campaign was successfully launched on the 8th. Its aim is to tackle the Afghan tradition of shying away from saying the names of female family members in public. Female names are absent, even on some wedding invitations and gravestones. Instead, women are called by their relation to a male relative. The campaign also attracted criticism from those who said such campaigns are motivated by Western culture or fail to tackle more pressing issues women face in the country. Afghanistan’s all-girls robotics team won the silver medal in the category for courageous achievement in the First Global International Robotics Competition in Washington DC. The six member team’s American visas were initially rejected, but the decision was overturned when President Trump intervened after international outcry. Sadly, Fatima Qaderian, one of the team members lost her biggest supporter, her father in a terrorist attack on a Shia mosque in Herat on the 1st of August.